Original Idea for Advertising. Our Manhattan Video – Rockefeller Center Construction Workers on the top of the Car. 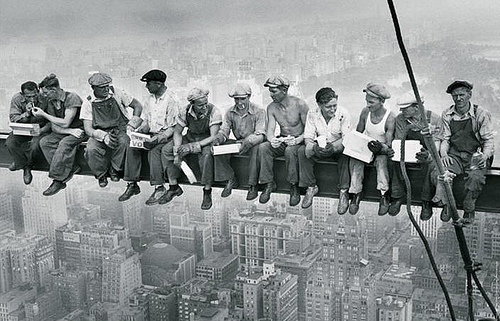 Construction Workers New York Rockefeller Center photo by Charles Ebbets. 1932. 2010 . The same real guys on the 33th Street in Manhattan ? Near entrance to our office building. I think the good Idea for advertising Sergio Furnari. com web site .